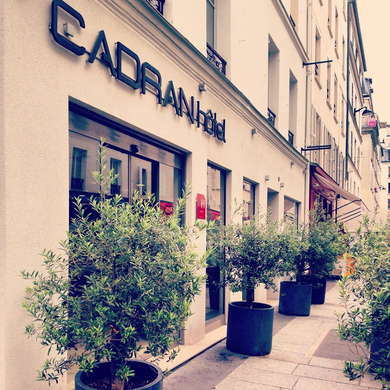 A well-located convenience hotel—actually two buildings run by the same management—the Hôtel du Cadran's contemporary design appeals as much to business travelers as to urban creative types on a budget. A no-frills hotel but with all the amenities you'd expect from a three-star establishment. YOU SHOULD KNOW Once two hotels, the two buildings are now under one name and consist of a main building (rue du Champs des Mars), which contains the reception and lobby, and the secondary building—Cadran Colors—across the street (16 rue Valadon), which has sightly larger rooms and suites but no reception and an access code. Rooms are small but bright (some with Eiffel Tower views), and the spacious suites in Cadran Colors are good for families. Rooms are small for the most part, but comfortable and serviceable, some with whimsical motifs and bright, even garish, colors, with all the amenities. Don't forget to ask for a room with an Eiffel Tower view! YOU SHOULD KNOW For perfect quiet, ask for a room away from the street, especially on weekends when local restaurants and bars are lively. Updated bathrooms are small but clean and contemporary, some with natural light. Tub and showers are ample, but some have only a glass partition that easily douses the bathroom if you're not careful. YOU SHOULD KNOW Some bathrooms have windows into the bedrooms, which are high enough that privacy isn't an issue, but turning on the light at night may be. The reception area of the main building extends to a small lounge area. The second building has no reception or lobby. YOU SHOULD KNOW The chocolat bar advertised on their web site is now defunct. A standard but good continental breakfast is served in a chic, newly renovated basement breakfast room. A few minutes from the École Militaire metro station. A good Paris location just steps from the Eiffel Tower, Invalides, and rue Cler, one of Paris's very best market streets, full of French specialty shops and gourmet foods and plenty of lively restaurants and cafés. Walkers can get to Saint-Germain in 15 minutes and across the Seine to the Grand Palais in 20 minutes. 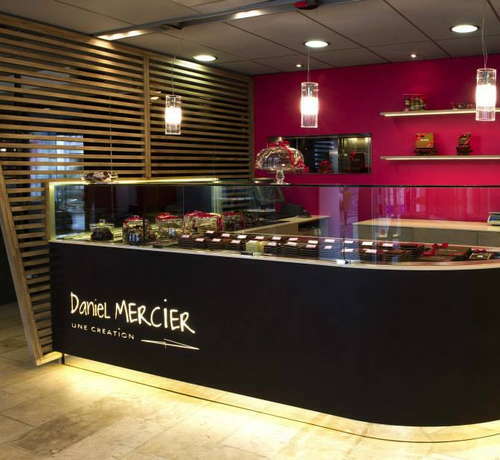 Rue Cler has all the restaurants you'll need, including the popular Café du Marché and Café Centrale. Nearby rue Saint-Dominique is also a good bet for dining out. For a drink head to one of the many nearby cafés, which are full of Parisians and stay open till 11 p.m. on weekdays and later on weekends. The hotel's efforts to rise above the status of standard convenience hotel have been noted. For a clean, comfortable, and chic lodging in a plum Paris location that won't kill the budget this is a good bet.